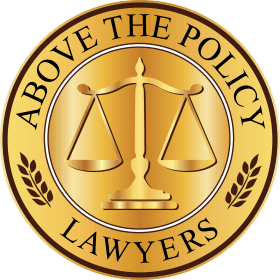 FRANCKEL & PLEVY, LLP is the 44th Fastest Growing Law Firm in the U.S. The determination was made after an audit of three years of tax returns and financial reports by an accounting firm appointed by Law Firm 500. FRANCKEL & PLEVY, LLP is a personal injury law firm in New York representing clients injured in all types of accidents, who are facing uncertainty with loss of income, continued pain and insurance companies determined to prevent claimants from obtaining the benefits and fair compensation they are entitled to. FRANCKEL & PLEVY, LLP now has locations in the Bronx, Brooklyn, Manhattan in New York City; and Roslyn, Woodbury, and Bayshore on Long Island. The law firm represents clients throughout the State of New York. This amazing growth was made possible because of our marketing efforts and community causes with 1-800-HURT-911® and our team at FRANCKEL & PLEVY, LLP, which has been dedicated to providing the best personal service and maximum case settlements resulting in many happy clients. FRANCKEL & PLEVY, LLP is the only personal injury law firm in New York where clients can call the partners days/nights/weekends. This has been the cornerstone of our commitment to provide personal service to people injured in New York. FRANCKEL & PLEVY, LLP and 1-800-HURT-911® are involved with several causes for motorcyclists such as a Toy Run to benefit Stony Brook Children’s Hospital and a campaign to raise awareness of motorcycles on the road by giving out car signs, bumper stickers, lawn signs and other items stating BE AWARE MOTORCYCLES ARE EVERYWHERE®. Although this recognition is calculated on financial growth, it could not be possible without the continued operational excellence and commitment to client service exhibited by our team each and every day. Our operational efficiency has allowed us to move cases forward as quickly as possible while aggressively litigating personal injury cases to seek maximum settlements and verdicts. This operational efficiency has been made possible by our partnership with trial counsel Salinger, Sach Kimmel & Bavaro, a law firm with approx 50 fabulous employees and partners. Thank you so much to our loyal clients and partners who have supported us as we have grown. Our focus on personal service and commitment to obtaining maximum settlements will continue no matter how large we grow. As we continue to grow we encourage you to follow our progress and stay in touch! We are ranked 44 on the 2018 Law Firm 500 and have grown 296%.